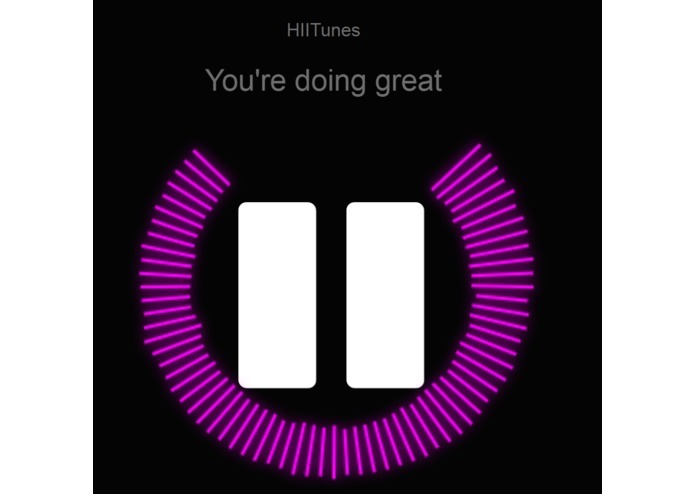 I was inspired by the game Audiosurf to first look into using music as a basis for an app as well Yik-Yak for the idea of using the community for motivation. 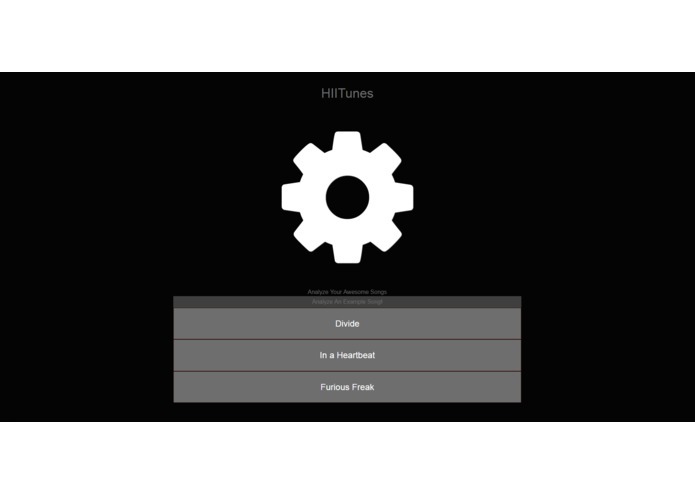 HIITunes is a web-app that generates a High-Intensity Interval Training (HIIT) work-out based on user provided music. 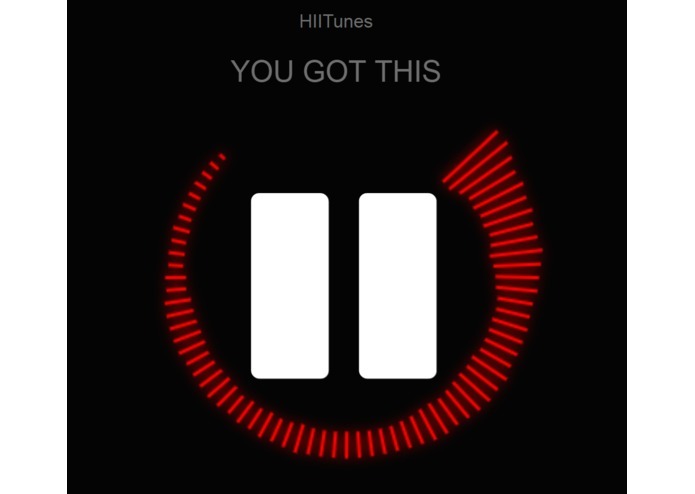 In addition to providing visuals to go alongside the music, the app provides moral support for the user with encouragement provided by other users. 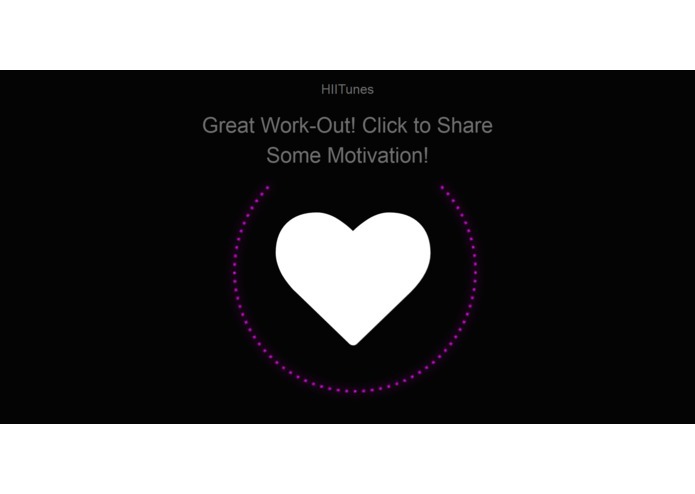 After completing a work-out, a user can choose to contribute their own motivational words to future users of the app. The front-end is built with Bootstrap and jQuery. The music visualizer is a heavily-modified version of Visualizer.js. Webkitaudio is used to aid in the analysis of music. The back-end is a node.js with express framework using a MongoDB database. Wrestling with MongoDB and ensuring the app look good on various screen-sizes and resolutions. Designing an efficient algorithm to process and analyze mp3 data. Bootstrap, MongoDB, the Openshift platform, and the structure of the mp3 format. Post-workout review, user accounts, and improved visualization.